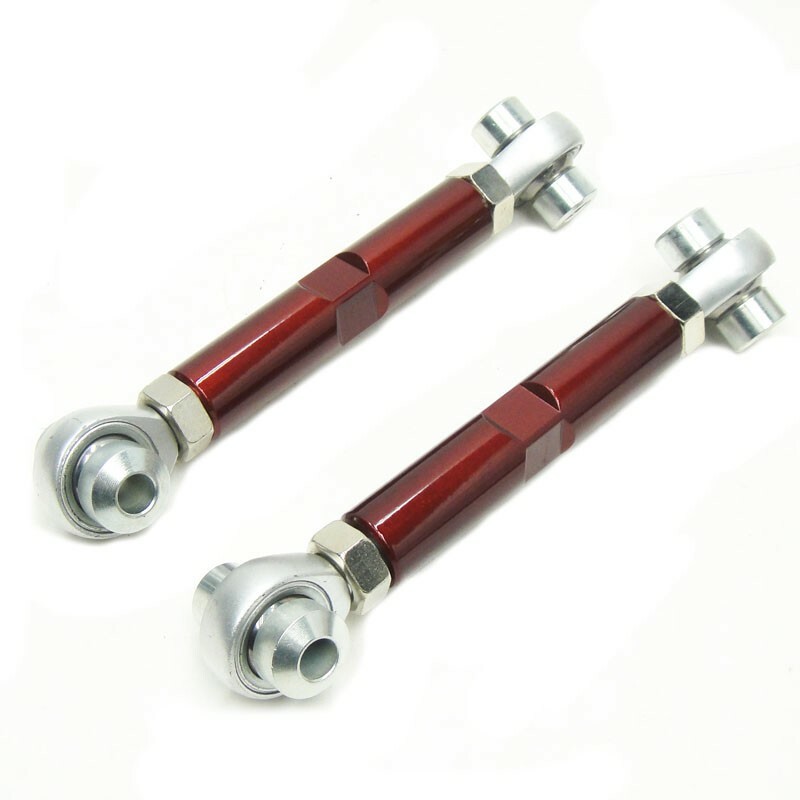 Are you in need of adjustable trailing arms for your lowered vehicle? 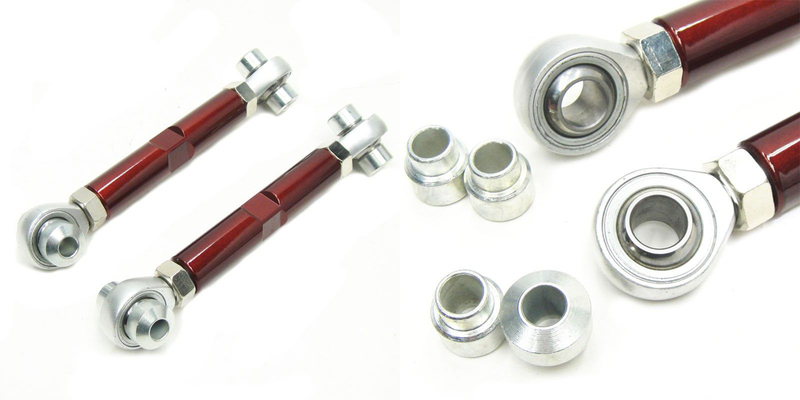 Check out our Godspeed Trailing Arms we offer. A trailing arm has a really big job to do. First, its got to provide an unyielding link between the chassis and the rear axle. 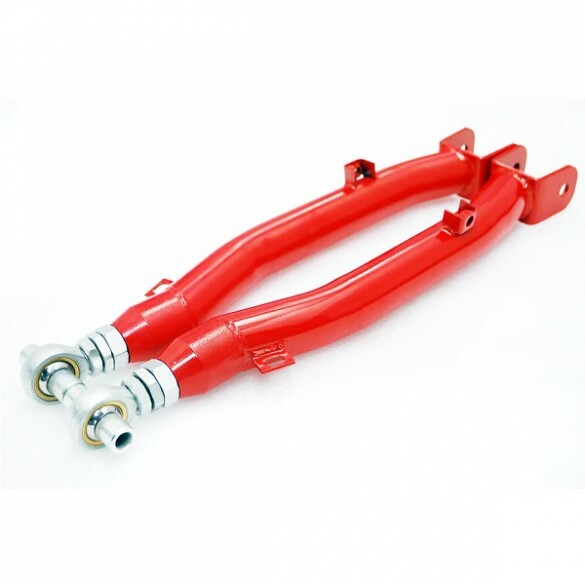 Secondly because the shocks are mounted to it, it must support the weight of the vehicle as well as the tension and compression forces created between the rear wheels and the chassis. Finally, trailing arms need to be strong enough to take abuse from impact and vibration. With Godspeed Trailing Arms equipped on your vehicle you will feel a much improved contact with the road under spirited driving. 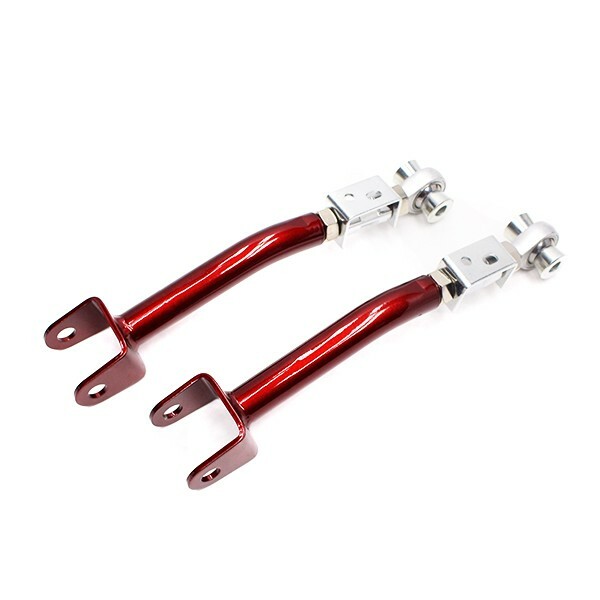 In conclusion these trailing arms will provide the necessary adjustment to get your alignment back in spec.